Late spring but characterized by a rapid and constant development of the vegetation at the end of May. Slowly and regular maturity during summer, a fabulous end of season permitting to wait the harvest until the beginning of October. A good preparation during all the vegetal cycle and rigorous selection at the harvest to obtain concentrated wine. Sparkling garned-red colour. 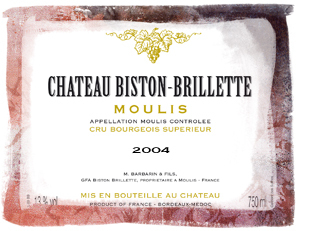 Toasted and mineral nose with an evolution upon fruity and floral flavours. Good final with fruity and camphor aromas. Fine elegant racy wine. Very nice classical vintage similar to the 1996 vintage. To drink now. A wine for ageing 10/15 years. Guide Gilbert & Gaillard Edition 2008.